The purpose of the present chapter is to analyse general equilibrium effects of different trade liberalization policies for India under imperfectly competitive market structure. Since present day world trade is much akin towards the increasing returns to scale and market structure oriented industry behaviour, we have considered monopolistically competitive market structure for our analysis. Computable General Equilibrium (CGE) modelling has been applied as it seems to be relevant methodology for policy simulation. Consumer's love for variety and increasing returns to scale present in the sectors involving large fixed costs, are strong determinants of consumer's as well as producer's business confidence. Our study reveals that increased welfare gain due to trade and openness is not much larger as compared to standard perfect competition scenario as the scale economy benefit is predominant only in few sectors like capital goods industries and not prominently visible in large agricultural and informal manufacturing sectors. 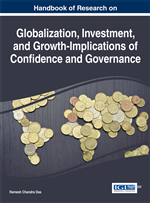 This chapter delineates empirical implementation of a real trade general equilibrium model using computable general equilibrium methodology for a small open economy that includes some features related to “industrial organization” approach to trade. Theoretical study in this area has been developed rapidly by the works of Helpman (1981, 1982), Krugman (1979, 1980, 1981) and many others dealing with imperfect competition, economies of scale, entry barriers, product differentiation and few other aspects of industry structure while judging costs and benefits of trade liberalization. Very early works of Balassa (1966), Corden (1972, 1974), Eastman and Stykolt (1966), and Wonnacott (1967) studied the role of scale economies and its impact on international trade and structure of the industry. Balassa (1966) and Grubel and Loyed (1975) reported that much trade takes place on intra-industry basis which provides solid foundation for inter industry and intra-industry adjustment along with Hecksher-Ohlin argument of comparative cost advantage.